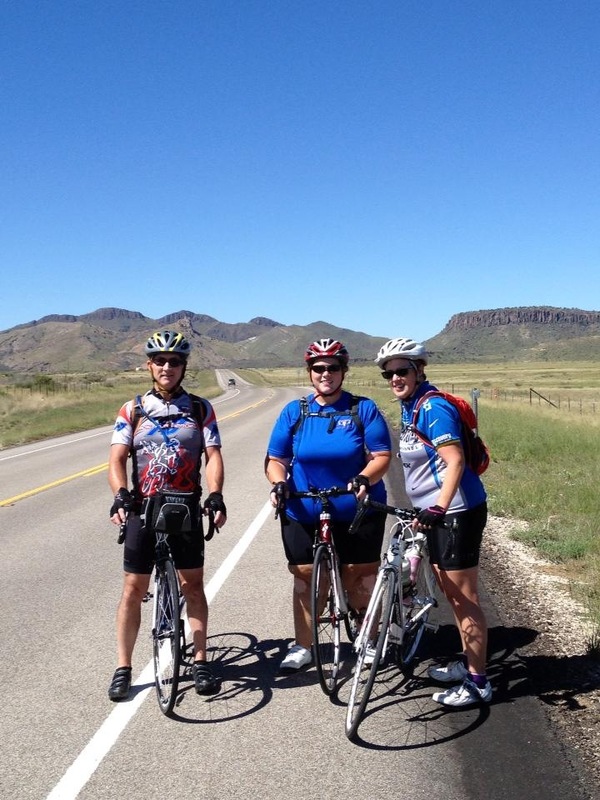 Our small group tour offers a chance to escape the metro-mess and enjoy cycling in the wide open spaces of the Big Bend Region of West Texas. We know that your vacation experience is important to you – so we’ll work to make sure everything is taken care of for you. All you do is eat, sleep and ride. We’ll travel to Marathon, TX and get a good nights rest. 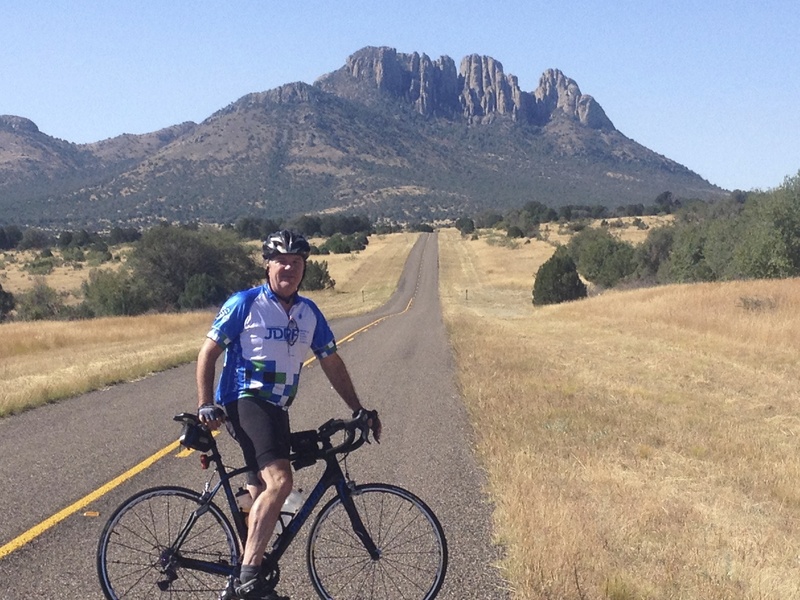 The following day we’ll launch 4 days of cycling in the Big Bend area of West Texas. After cycling to the Indian Lodge in Fort Davis State Park, we’ll set up a home base for 3 nights. Our first ride is to Marfa for lunch. After lunch and some local sightseeing, you have the option to ride back to Fort Davis or take the shuttle. 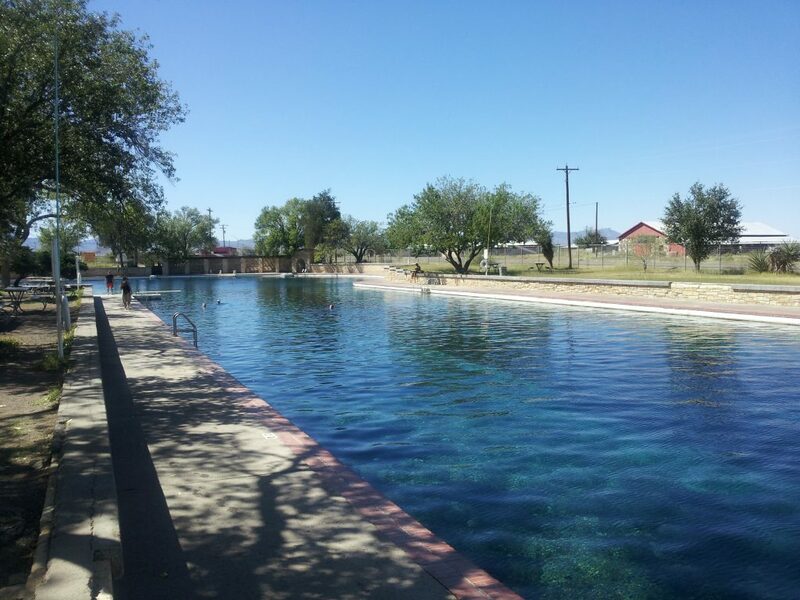 The following day we’ll ride to Balmorhea State Park for a dip in the spring fed swimming pool. After a picnic lunch, we’ll load in the bikes and drive back to Fort Davis. After dinner, we’ll drive up the mountain to the McDonald Observatory for a look at the night sky. 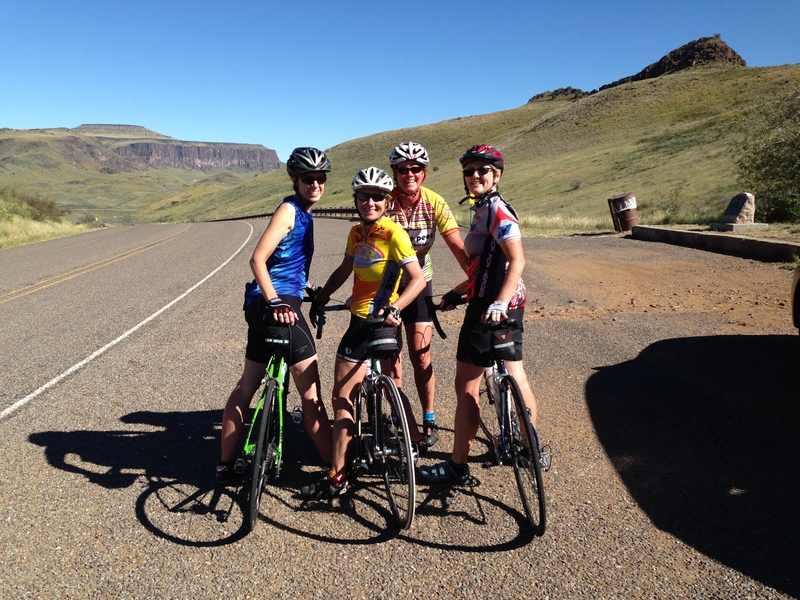 Our last ride takes us back through Alpine on the way to Marathon. “This was an amazing trip. I was challenged by the terrain but managed to conquer it with the amazing support encouraging us along the way. Experiencing Marfa and Fort Davis, which range from sci-fi to movie to military history was a special surprise.” Mikalan C.
We’ll enjoy sharing stories from the week as we enjoy a fine dinner at the 12 Gauge Restaurant at the Gage Hotel. We’ll have a nice walk back to the Marathon Motel with a sky full of stars overhead. It’s the perfect finish to a great week. We provide lunch on the road each day. All other meals are included, as well as ride support, transportation and lodging. We have 1 spot left for this tour.